Here I show you tabs how to play HUGEL feat. 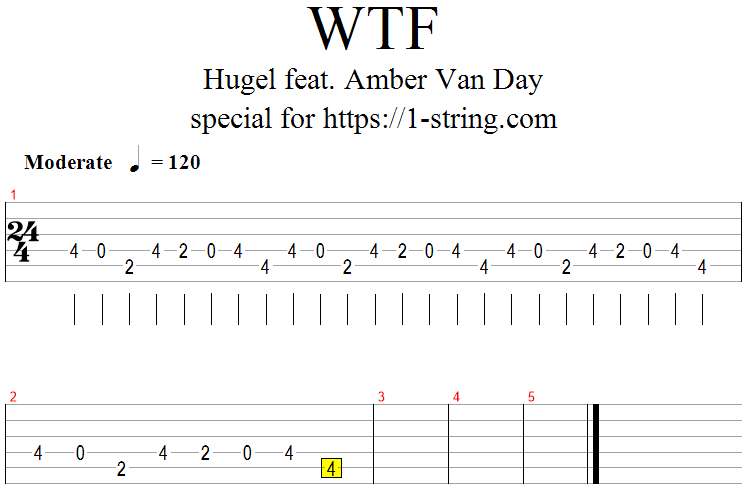 Amber van Day – WTF on a single guitar string. This song is in the TOP-100 Shazam list of 2019 year. I like it, especially its chorus, and you? This song is easy, but I use 2 strings to play this: D and A.